Again, no one has ever done anything like this, and rockets are really tricky. The Space Shuttle wasn’t truly reusable; it was just refurbishable. The Space Shuttle also had a host of other major problems that I won’t go into but explain why manned spaceflight is returning to capsules on top of rockets — currently in use are the Russian Soyuz, but Boeing and SpaceX are developing their own, the CST-100 and Dragon v2. Jeff Bezos’s (CEO of Amazon, Inc.) space company, Blue Origin, also landed their rocket, the New Shepard, but the feats aren’t comparable at all. The New Shepared simply goes up to the legal definition of the edge of space (100mi), can stay for four minutes, and then return. 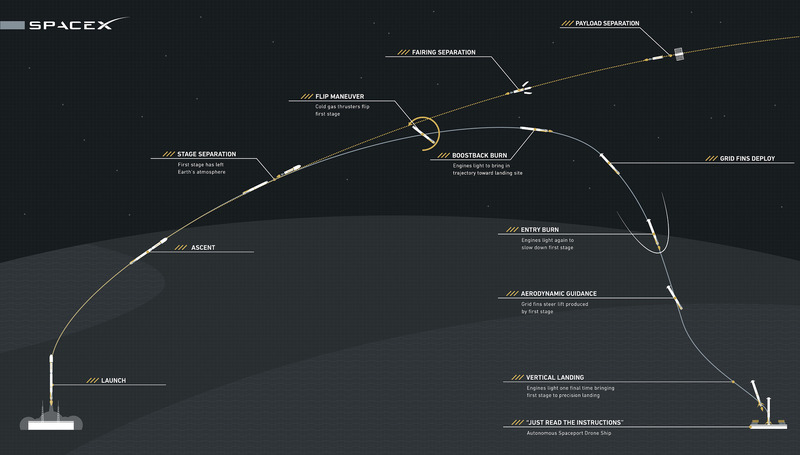 SpaceX’s rocket, the Falcon 9, can actually put something in orbit. Going to space isn’t really just going straight up, you have to be going sideways really, really fast. 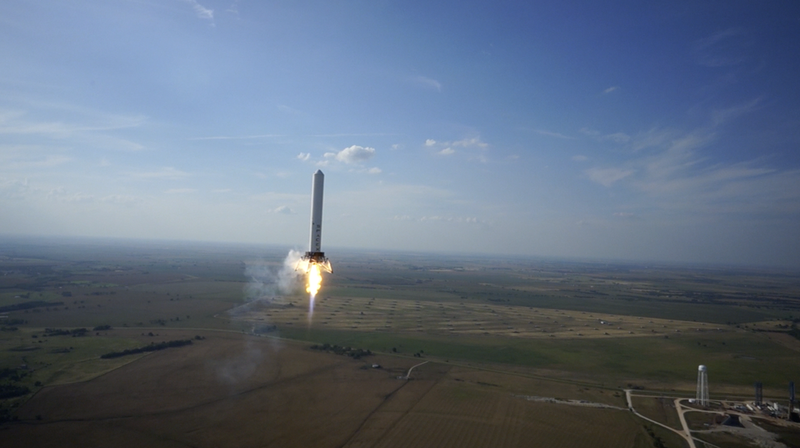 Essentially SpaceX is the first company that built a rocket that can go sideways really fast allowing it to launch satellites or people to orbit and return that rocket to Earth for reuse. SpaceX was founded in 2002 by billionaire Elon Musk. Their first rocket, the Falcon 1, became the first privately developed rocket to enter orbit. This rocket and their current ones are also completely designed and manufactured within the USA. The first three launches were failures, and if it wasn’t for success of the fourth launch, the company would’ve gone bankrupt. They retired the Falcon 1 and began producing the Falcon 9, a much larger and powerful rocket with nine engines instead of one, but reusability was always the goal. The first test vehicle was the Grasshopper which demonstrated that they could send a rocket up 744m and also sideways and return to the launch pad. First they just dropped it in the ocean to see if it could accurately hit the target, then they attempted two barge landings. On June 28th, 2015, the Falcon 9 experienced an in-flight anomaly, and broke apart 139 seconds after liftoff. This grounded SpaceX until last night when they returned to flight with their new Falcon 9 (v 1.2) that is 30% more powerful and had approval to land on Cape Canaveral…and they nailed it. This launch changes everything about space transportation and will likely be remembered as the moment we entered this new era. In 2016, SpaceX plans on having their demo flights of the Dragon v2 (capsule rated for human flight) and the Falcon Heavy which is essentially three Falcon 9s strapped together for an even more powerful rocket also capable of returning to land. They’re also working with NASA to develop a Dragon capsule capable of sending a robot to mars to collect samples and return them to Earth. Space travel could feasibly get a lot cheaper really soon (right now it costs about $71 million for a seat on the Soyuz); I personally hope to go to orbit before I die, and its looking like that could be a real possibility now. Elon Musk originally wanted to just send a greenhouse to Mars and show a picture to the world to capture their imaginations and get people excited about space. He traveled to Russia twice to try to buy a refurbished Intercontinental Ballistic Missile, but after that didn’t work, he decided to start his own space company. I’m hoping that events like last night’s and SpaceX’s future accomplishments will already inspire people to work towards a future where humans are multi-planetary.